Little did I know on a cold day in February my life would be forever changed! I convinced two friends to join a two week Boot Camp with me, oh my it was so tough. I could not even do half of the exercises. 34 weeks later I can do so much more than I ever thought I would be capable!!! When I started Boot Camp I was a size 26 now I am a size 18! I have lost 47 pounds in joining Boot Camp and many inches off my hips. I have also gained a great motivator and friend in Elizabeth she has believed in me even when I didn’t believe in myself. I am still far from my goal but I know with Elizabeth by my side I will make it! Since I’ve started boot camp, I’ve lost 34 pounds and 5% body fat. Inches, too, but what I’m happiest about is how healthy I feel. Boot camp has become a part of my life not just a workout routine a couple days a week. I have 3 children and it is difficult to juggle everything, but I PRIORITIZE boot camp. It is MY TIME and I have become selfish to make sure I get to boot camp. We, my family, all still manage to get done what we need to get done. It is a wonderful feeling to race my son home from the bus stop or shop in the same stores as my daughter. My road to fitness has been gradual and it has been rewarding. I have not been this active since I was in my 20’s, I am now 43. 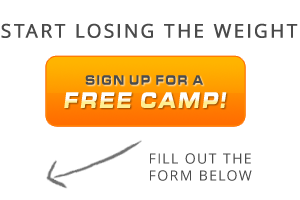 I encourage all the new campers to keep coming back…it gets easier and the rewards speak for themselves. I did the Warrior Dash before boot camp and then after I had started boot camp! What a difference. I finished 144th out of 700 something women in my age range. I was not in it to win it, but I was soooo pleased with my improvement from the previous year. Today I finished Day 56 of Boot Camp and I’ve never felt better!!! I stand up taller, sit straight in a chair, go up stairs like I did when I was in my 20’s. I had been in a funk for the last couple of years and Boot Camp has helped me to get out it. I feel more energetic and think more clearly. Elizabeth is awesome! She’s very creative in setting up the work out and no 2 days have been the same. She helped me with modifications in the beginning and now, how to challenge and push myself further. I ran a 5K for the first time at Thanksgiving and couldn’t have done it without Boot Camp. Thank you Elizabeth!! Starting boot camp was the best gift I have ever given myself! I was never an exerciser. I hated to sweat and I hated to ache and I would never push myself to try harder. I always felt that it was just not my thing. But, I had been having some health issues – high blood pressure and high cholesterol – and I knew that I needed to start to take better care of myself. So, one day, after seeing an ad in the paper, on the spur of the moment I decided to sign up for a 5:30 a.m. boot camp class. Most of my friends thought I was crazy (and I wondered if I was crazy) but I went. The first day seemed like torture to me since I had not exercised hard in years, but I went back on the second day and the rest of that week. By the end of the four week session I had lost pounds and inches and I felt better about myself, so I signed up again. And, now, 9 months later, I am still going to boot camp at 5:30 a.m. four days a week. And, I love it! I hate to miss it! My blood pressure is under control and I have more energy than I have had in years. I feel that this is the strongest and healthiest I have been as an adult. Elizabeth Cardoso is a wonderful trainer. She makes every day a little different, but every day is actually fun. She manages to keep everyone motivated, even though we are all at different fitness levels. She never makes me feel that I can’t do something, and she always motivates and pushes me to try harder. The women in the class are also so supportive of each other, that it is actually fun to come to class. I intend to continue to go to boot camp as a present to myself forever into the future. I achieved the results I wanted! I’m a mother of two beautiful girls (who were 10 lb. babies at birth!). I was a size 18 when I started attending Albany Adventure Boot Camp in April 2010. When I stepped on the beach in Hawaii for my 10th wedding anniversary, I was a size 12! I cannot believe how great I feel know and how motivated I am to keep going! Thank you to Elizabeth and Albany County Adventure Boot Camp!!! Oh my God! I did it!!!!! I climbed Cascade Mountain this afternoon. It took 4 hours and 4.8 miles up a 1900 ft ascent but it was worth it. It was a steep climb over rocks, across streams and up over tree roots. ! Guess what? I know I wouldn’t have been able to do that kind of climb without stronger legs and a better core! It was all quad and hamstring. My friend couldn’t believe I could scale the mountain like I did or hurl myself over rocks and up muddy passes with the speed or strength that I had. I told her it was boot camp! I’ve been doing 4 mile “walks/hikes” for the last 3 days with today’s Cascade finale today. Elizabeth, the “walks” were ones that I had done in July that I could barely crawl through. I barely broke a sweat! I left my friends in the dust and then returned to the cabin and did a mini-boot camp workout with them. They were all moaning and groaning the next morning. Thank you! I can’t believe what a difference 3 weeks of exercise has done for me physically but my confidence has sky rocketed. I turned 31 yesterday and I wanted to do something that would challenge me. Push me outside of my comfort level and prove to me that I could do something fantastic still! Yay! “You are stronger than you think.” I have heard this many times and did not believe it until I did two sessions of Boot Camp withElizabeth. I truly became stronger than I ever thought I could. I pushed my body harder than I thought I could! Boot camp taught me that if you put your mind to it, your body will follow. In the end, I am stronger than I think! Thank you Elizabeth for the wonderful life lesson! Boot Camp has changed my life. I spent the last seven years overweight and unhappy about it. I made every excuse as to why I could not commit to a healthy lifestyle. I started Boot Camp on June 2, 2008 with a little trepidation. Prior to signing up, I asked my brother, a personal trainer, whether he thought it was a good idea. He said that, an exercise program, of course, would be a good idea but that perhaps I should drop a little weight first and start off with a less rigorous program. I contacted the boot camp instructor, Elizabeth Cardoso, and conveyed my concerns to her. She put me at ease by explaining that women of all ages and abilities attend camp, that no one is forced to do something of which they are not capable and, that modifications to the workouts can be made based on ability. I can’t say enough about Elizabeth. Her experience and professionalism are evident in how she conducts camp. She is able to keep the whole group motivated and yet is capable of remaining attentive to individual needs. She truly cares about each camper’s well-being. In my first month of 5 day per week Boot Camp, I dropped 13 pounds and several inches. My brother is very proud of my accomplishments. Boot Camp, combined with a sensible eating plan, is my new lifestyle. I feel stronger, healthier and in control — and the best part about it is that I now have more energy to keep up with my 2 year-old son! Thank you, Elizabeth and Albany Adventure Boot Camp for Women. I just finished two summer boot camp sessions with Elizabeth Cardoso. It was a blast. The best part is that I lost inches and improved my endurance. Turning forty has forced me to become a gym rat and nutrition nut. I have been exercising regularly for about six years now. The past year has been very frustrating because I wasn’t seeing results. I convinced myself that I reached my potential. I didn’t expect to see results, my motivation for joining was being outdoors. Every session was different. It was impressive to see Elizabeth work with a large group of ladies at various stages of fitness. She truly cared to improve each camper. Elizabeth would demonstrate each exercise at beginner, intermediate and advance. I was also impressed the way she modified for the occasional injuries. The ladies were a lot of fun. I plan to return in the near future. All my life, I have struggled with my weight. Name any diet and I guarantee I have tried it. Of course, none of them permanently worked. They just did not fit my lifestyle. When I turned 29 years old, I decided this was not a way to live. I was sick of checking my weight multiple times a day and hating my body everyday I looked into the mirror. To top it off, I had to take steroids and ended up gaining fifteen pounds after I ordered my wedding dress! I was feeling so hopeless. That is when I found Albany Adventure Boot Camp. 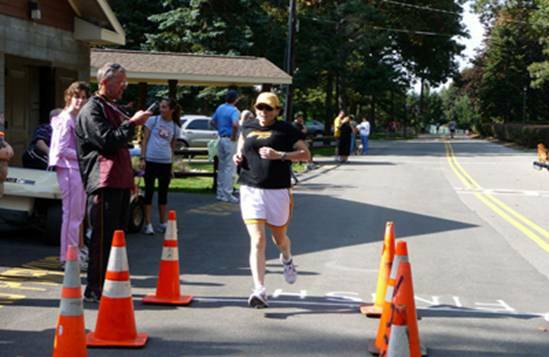 I was a little worried that I would be unable to participate since I was very much out of shape. Additionally, I did not know anyone partaking in the camp. I decided I needed to start taking risks and stop making excuses. I signed up right away. At boot camp, Elizabeth did a wonderful job varying our exercises and encouraging each camper to strive to do their best. Those campers who required modifications or a more challenging level, Elizabeth addressed everyone’s needs. She is a very caring trainer who goes above and beyond to ensure all campers reach their personal goals. During boot camp, I quickly made friends and found myself having fun! I never knew that I could have fun exercising. A few days into the camp, I woke up quickly and could not wait to get to boot camp. It’s a great environment to join since everyone supports one another. When each workout ended, I was proud that I was accomplishing exercises I never thought I could do. The results for me at the camp were amazing! I stopped obsessing, jumping on the scale constantly and stopped crash diets that I have been doing since middle school. I found myself more at peace with how I looked and felt like I could accomplish anything. My self-confidence has increased significantly and I give the credit to Elizabeth’s boot camp. At the end of the two week boot camp, I dropped 3 ½ inches! I cannot wait until the post assessment on Friday to see the results of the four week boot camp! Albany Adventure Boot Camp is worth every penny and you will be on your way to a healthier lifestyle. I am signing up for another class and I hope you will join us! Thank you Elizabeth for everything! I have somewhat of an unusual testimonial I thought I’d share with you. On Wednesday after our hike I had a dentist appointment to have a crown work up on a tooth that broke. My dentist is here in Yorba Linda, and her name is Caroline Dang…..she’s a great dentist. She was drilling away on my tooth when the anesthetic started to wear off…..I motioned her, and she stopped and gave me another shot and continued. She still wasn’t finished when I felt the pain coming back again…..she had to stop again and give me yet a third shot to numb me so she could finish. She couldn’t understand why the medication was going through me so quickly because I had to have a crown once before and that didn’t happen. I mentioned that I had just gone on a “climb up Mt. Everest” that morning and she said that was it…..my metabolism was running so high that the medication was running through my body faster than normal. She was impressed…..so was I! I really enjoyed the hike….even though I am so badly out of shape, I just hung in there and made it to the top…..like everyone else…..and boy was that view gorgeous! I appreciate that you lag behind for us slower ones…..you make us feel so good about ourselves…..I can’t wait for next Wednesday’s hike! I was completely bored with exercising. I have exercised my whole life and needed a change. It’s great to be excited about my workout program again. I’m beginning by 3rd camp soon! 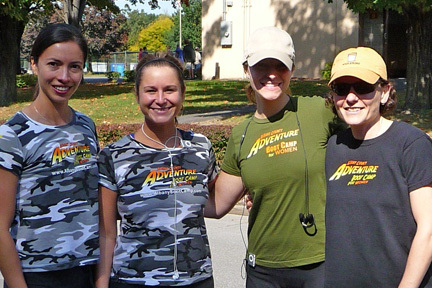 The Adventure Boot Camp is simply the best! I particularly like the variety of activities and the sense of fun that’s built into the program. I really felt like I was getting the maximum benefit out of the program. I highly recommend the program to anyone wanting to improve their fitness and overall health. I have to admit I was a little skeptical about something entitled “Boot Camp”. I envisioned a lot of yelling and not the most nurturing environment. However, since day one of camp, I have been nothing but thrilled to wake up and hang out with my newly acquainted friends. After two camps, I have learned so many new exercises that have stirred muscles I didn’t know I had! The biggest change for me has occurred in my arms, hips and abs. I feel so much leaner and firm. I’m into a size 4 and my energy level has seen a significant boost. So, whether it’s interval training with weights or yoga and Pilates, I look forward to every morning’s new adventure. © Copyright 2015 Albany Adventure Boot Camp. All Rights Reserved. | Designed by BootCampWeb.com.